Sega has unveiled the release date for PS Vita Monkey Ball. 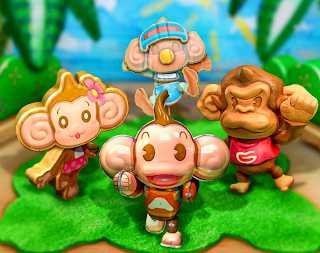 The game title is Monkey Ball Tokumori Asobita! and it's scheduled to be released on June 14. The price of the retail version is ¥5,040, while the digital version of the game will costs ¥4,500. PS Vita version of Monkey Ball uses all the new control scheme like rear touch controls, motion controls and wireless for two-player cooperative play. You can also use the camera to create new stages in a new stage edit mode. Shovelware? or a purchase worthy game? let us know in the comments below!